Ease and comfort right in your truck bed! Check out the Napier Backroadz Truck Tents when you are looking for the best camping or traveling truck tent. Never hurt your back again by sleeping out on the ground, sleep with relief in this awesome product! In this spacious truck tent you have 5.5' of available head space with four windows and a door. Being made from a polyester taffeta and window material of polyester mesh, the Backroadz tents have lots of ventilation and breathability. Weighing around 20 pounds, you can easily transport the tent anywhere and set up is even easier. Install the tent on your truck bed in no time. It won't take you long to put it on your vehicle and be on your way to relaxation. Coming with four shock corded fiber glass poles the durability really cannot be beat. Rest assured that if there is a storm you will stay nice and dry and it will hold up to wind gusts. 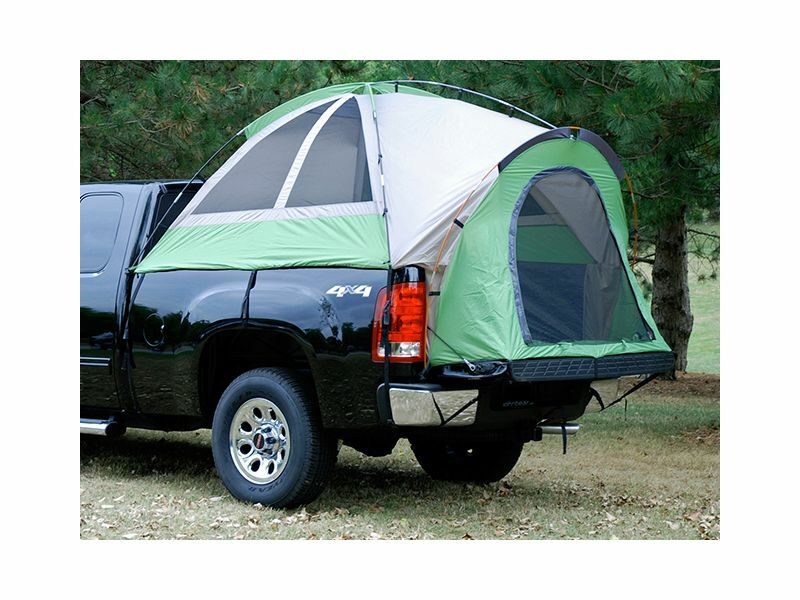 Wait no longer on getting the Napier Backroadz Truck Tents for your truck! Sportz Tents are warranted to the original owner to be free of manufacturer defects and workmanship for one year from the original purchase date. The Sportz Backroadz tents are an easy at home installation. Install on your vehicle in no time! For additional information call us at 1-877-216-5446 or 701-253-5906.